We are opening a new sea kayaking centre in Lanzarote, Canary Islands. Due to the good sea/weather conditions for sea kayaking that we have there during the winter time we will be open from september to may. Winter sea temp.18 -20 degrees, air temp. 20-24 degrees. 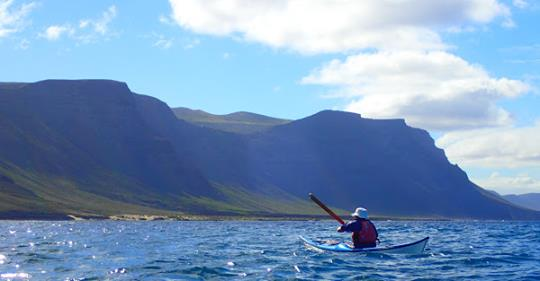 We offer multiday sea kayaking trips, courses and rentals. As a Nigel Dennis expedition centre, you will be able to paddle all the Romany range and the Pilgrim Expedition. Carbon Celtic paddles for all sizes. Also available are P&H kayaks, the Hammer, Delphin and Scorpio. From mid-September we'll be sending out a newsletter containing lots of useful information about Lanzarote, our company, wildlife in the area and other kayaking-related news (product reviews etc). We'll do a feature on one village or town in Lanzarote every issue so you can get all the insider information you need about visiting that place or getting accommodation there. We'll also do a spotlight on one of Lanzarote's many animals (birds, fish, whales, dolphins etc) each month and give you information about discounts, what's happening with the company, new trips, expeditions and when/where you can get the cheapest flights. All you need to put in is your name and email address. We hope you'll find the newsletter useful and hope we can welcome you to Lanzarote this winter. Just got back from a weeks holiday in Lanzarote and booked a couple of day trips with Sea Kayaking Lanzarote having spotted this post a few months back. The first was a trip along the coastline of Papagayo in the South of the island and the second was a superb trip from Orzola in the North across to the island of La Graciosa. The boats, equipment and guiding from Juan were a very high standard and Sarah was great in responding to all emails really quickly and providing lots of additional information about logistics for the trips. Lanzarote offers some great sea paddling opportunities and locations. Having been an annual visitor for the last 20+ years it's great to know there is now an excellent sea kayaking centre on the island and I'm already looking forward to another visit in February. Stumbled across this post again so thought I'd update to say I have continued going out to Lanzarote a couple of times each year between Nov-March and on each occasion booked 2-3 days with Juan & Sarah. Service, guiding and equipment remain excellent. They seem to have more organised groups/clubs visiting each year and have added quite a number of new routes so whatever the weather is doing there are usually good options. Nice to see a good company with good people thriving. I went with them just a few weeks ago. Lovely weather. A bit of wind and some v.pleasant kayaking. A bit of challenge too. They have some lovely NDK fibreglass kayaks and I would definitely recommend it for winter paddling. Got to use a GP too.